You are here: Home / Blog / Save Money with DIY Almond Flour and Meal! Save Money with DIY Almond Flour and Meal! 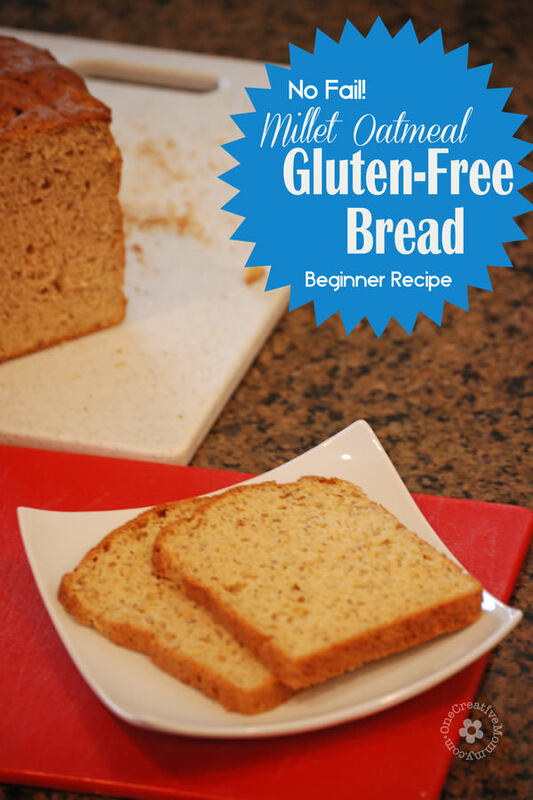 I’m going to let you gluten and gluten-free cooks in on a little secret. Almond flour and almond meal. They make everything yummy! I’ve now tasted it in pancakes, bread, and my favorite–as breading for chicken. Fried chicken dredged in a mixture of almond meal, salt, garlic powder and coarse ground black pepper. Sooo good! Reminds me of the KFC flavor. But this post is not about the chicken. It’s about the almond flour. Have you seen the price? Ouch! Did you know you can make your own? (If you eat gluten free, be sure to check your nuts to make sure they aren’t processed in a facility that also processes wheat.) I just found out how to make almond flour and almond meal, and I’m excited to teach you! I used my Blendtec Total Blender (my favorite toy), but you can do it in a Magic Bullet or other high-powered blender. In the Blendtec, fill the blending cup (make sure it’s dry) with at least enough almonds to cover the blades and push the speed button until it gets all the way to 10. Watch the blender and stop it (by pushing any button) once your almonds look powdery. I’m still experimenting with how fine I can make the flour. I don’t want to accidentally turn it to almond butter! Make your own and watch the savings add up! 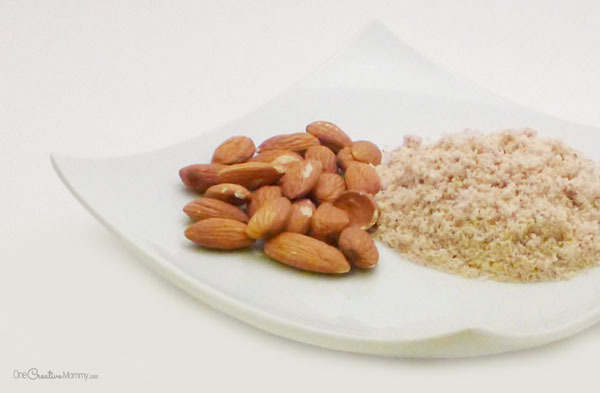 To make almond meal, use regular almonds. 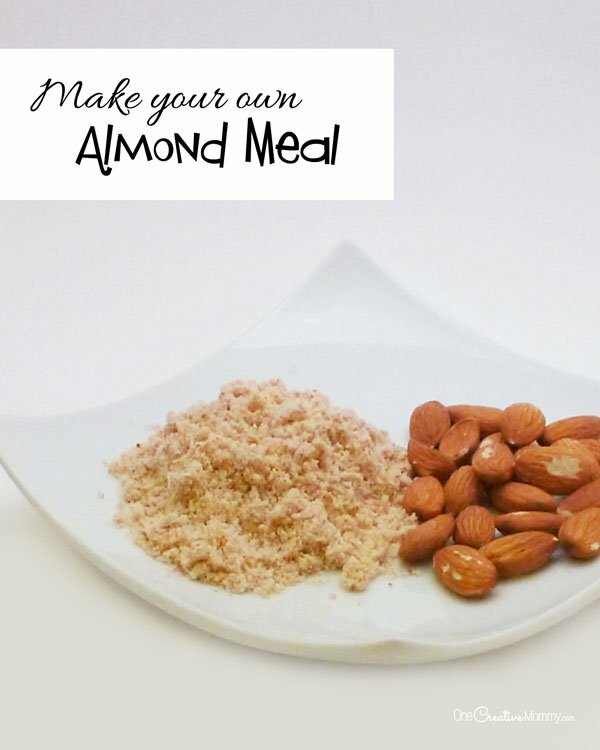 To make almond flour, use skinless, blanched almonds. Note–last time I made this, I learned some lessons. (I always promise to make the mistakes so that you don’t have to! Aren’t I nice? If you store your almonds in the fridge or freezer, make sure they are at room temperature before you grind. Pulse the almonds slowly. Grinding too fast might result in grinding too long and starting to make almond butter. Grind a cup to a cup and a half at a time. Too many nuts makes them so heavy that they nuts on the bottom stay on the bottom and get ground too long. That’s it. 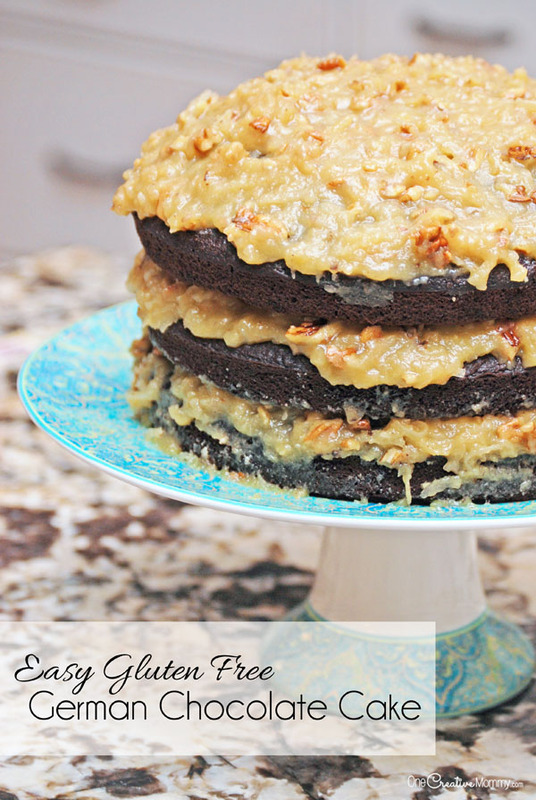 Give it a try and enjoy the yummy nutty flavor in your favorite recipes. Yum! Thanks for stopping by today. 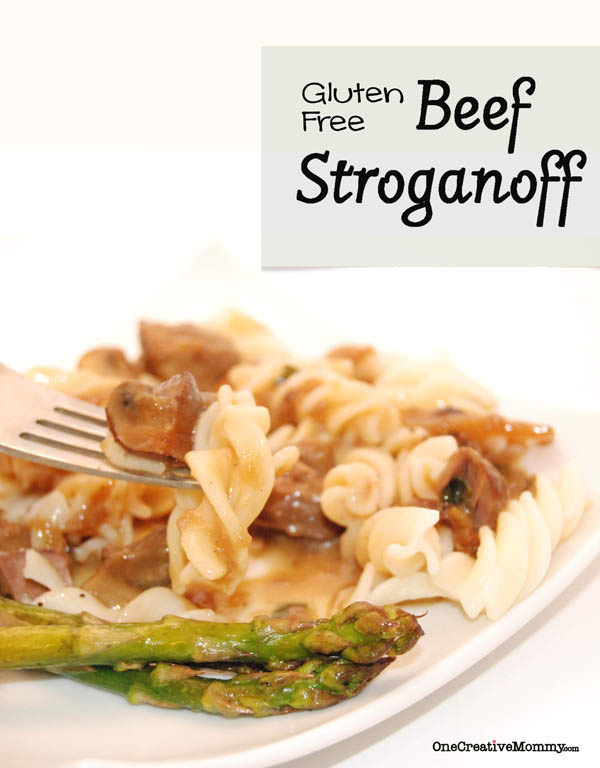 Be sure to check out some of my favorite gluten free recipes while you’re here. Click on the images below to visit the posts. This week, I’m sharing one of my Baby Steps to healing food allergies and chronic illnesses. We are experimenting with grain-free eating and starting out one teeny tiny meal at a time. It’s a great way to branch out and make room for more healing nutrient-dense foods. You can also check out the other posts in the series Baby Steps to Better Health: Healing Food Allergies and Chronic Illnesses. Thanks for featuring our gluten free graham crackers. With November upon us, this week I am sharing our gluten free pumpkin pie recipe made with our gluten free all purpose flour, on sale during the month of November. 1. Breakfast Scramble (Soy, Wheat, Nut and Fish-Free, Can Be Milk-Free). Great for a brunch or breakfast where you need to feed a lot! Have a great week and thanks for hosting! I don’t have a recipe today, but there is a tutorial on my site for making your own cloth napkins from scrap fabric, which I’ll share on your creative weekend linkup. Thanks for featuring my Veggie Style Mexican Chili! This week I linked up my Miso Noodle Soup. Love your recipe for almond flour I’ll have to try it to save some money! Awesome, I never knew you could make your own! Thanks for sharing at The Fun In Functional!